German brand Klar presents its all-purpose cleaner. This is a completely safe and highly effective concentrate suitable for cleaning all waterproof surfaces in your house or apartment, including floor, tiles, stove, etc. Free of chlorine, phosphates and synthetic colourants. Fragrance-free. 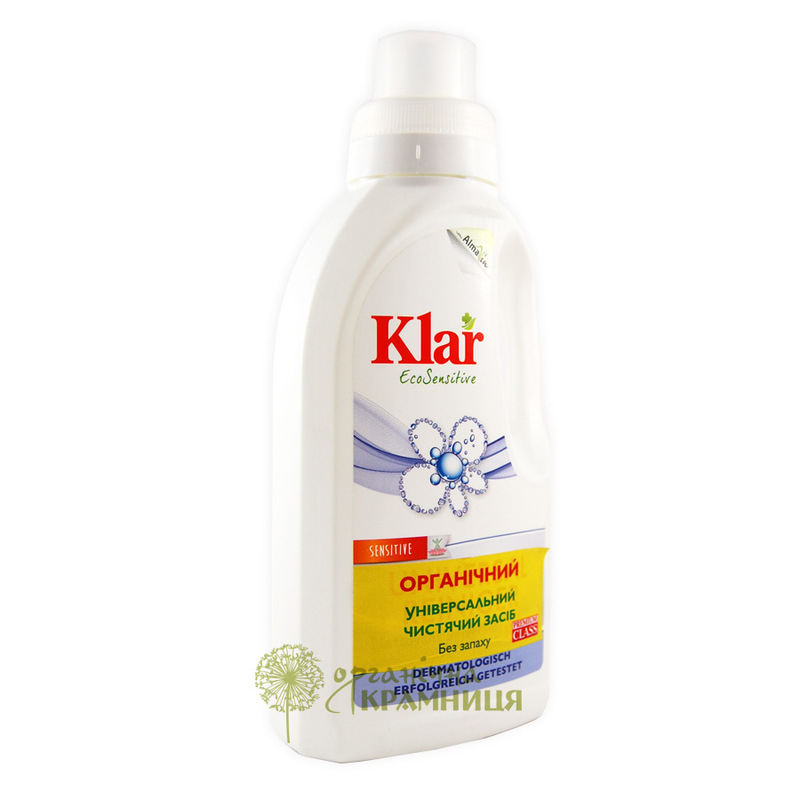 Like other Klar products, this all-purpose cleaner is based on mild, natural surfactants that are completely safe for human health and the environment. It easily cleans all types of waterproof surfaces, including those that are sensitive to acids or alkali. Safe to use around children (including newborns) and pets. Dermatologically tested. Recommended by the German Association for Allergy and Asthma. Directions. Dissolve 10 ml product in 5 l water. 1 cap = 30 ml. Can be used undiluted to remove persistent stains. Keep away from children. Avoid contact with eyes. Ingredients. Aqua, Alcohol, Fettalkoholsulfat C12-14 Natriumsalz, Lauryl Polyglucose, Sodium Chloride, Sodium Carbonate, Citric Acid, Lactic Acid. Want to buy All-Purpose Cleaner? Call us or submit your order via our web site! Klar is a German household and personal care brand owned and produced by AlmaWin. The company has been producing safe and eco-friendly washing, cleaning and dishwashing products since 1993. A brand named Klar was added to the company’s portfolio in 2002. It comprises fragrance-free products for allergic people and customers with sensitive skin. Four years later, AlmaWin launched its first laundry detergent based on soapnut extract, which acts as an efficient and skin-friendly cleanser. All products by AlmaWin are formulated with biodegradable ingredients which don’t contribute to water pollution. Since 2015, the company’s motto has been “Really sustainable”: AlmaWin began to use bottles made of more than 95% recycled plastic, aiming to reduce plastic waste. This stuff almost doesn't seem like a cleaning products because it doesn't have a strong chemical smell but it really works! I love the way it gets my house clean without much effort.